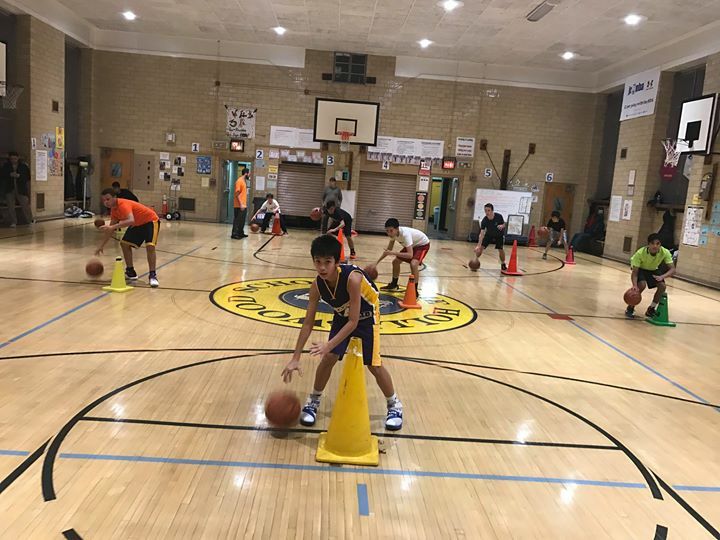 In our Powerball Advanced Training Class, Coach Scott initiates a ball handling drill focusing on perfecting the ability to switch hands without looking down. The cones create an obstacle forcing players to go side to side. No matter the players’ height, ball handling skills are essential for individual talent as well as for supporting the team.